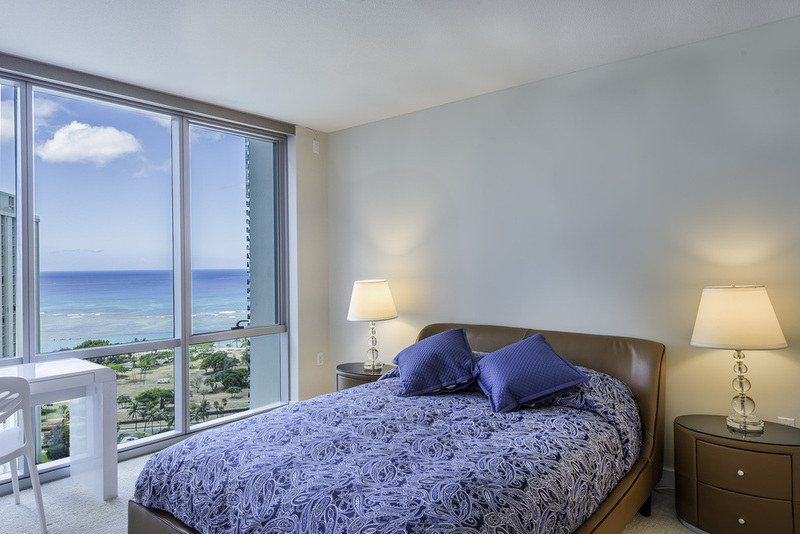 2bd/2ba residence on the preferred ocean side of the new Waihonua condominium. 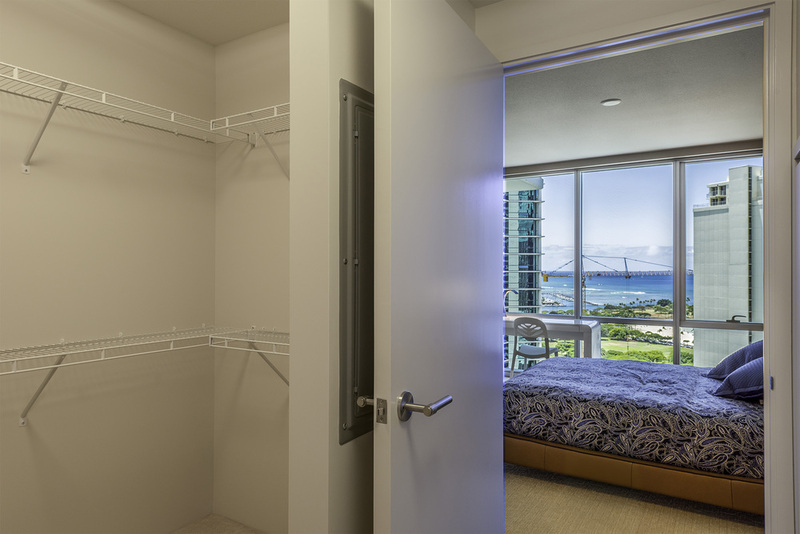 This secured, pet-friendly building is in walking distance to Ala Moana Center, Ala Moana Beach Park, and Ward Village. 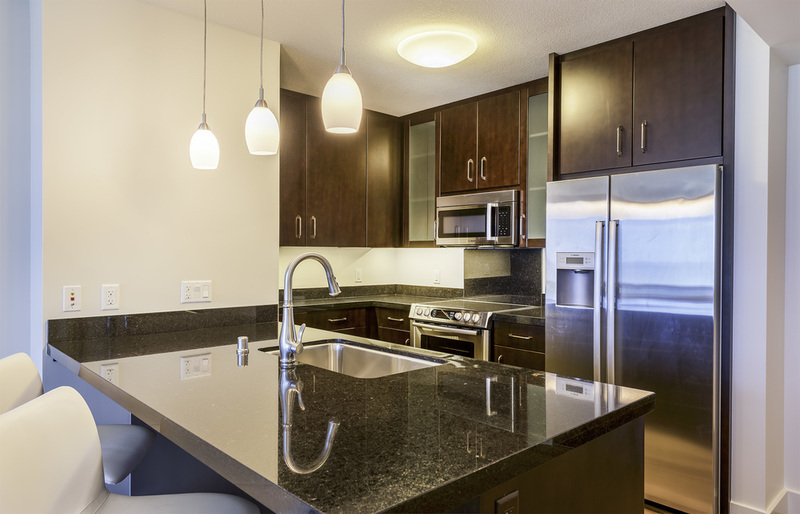 The unit is elegantly appointed with matte-finish walnut wood flooring, mahogany-stained cabinetry, stone countertops, Bosch kitchen appliances, and motorized window shades. Two assigned parking stalls and a storage locker. 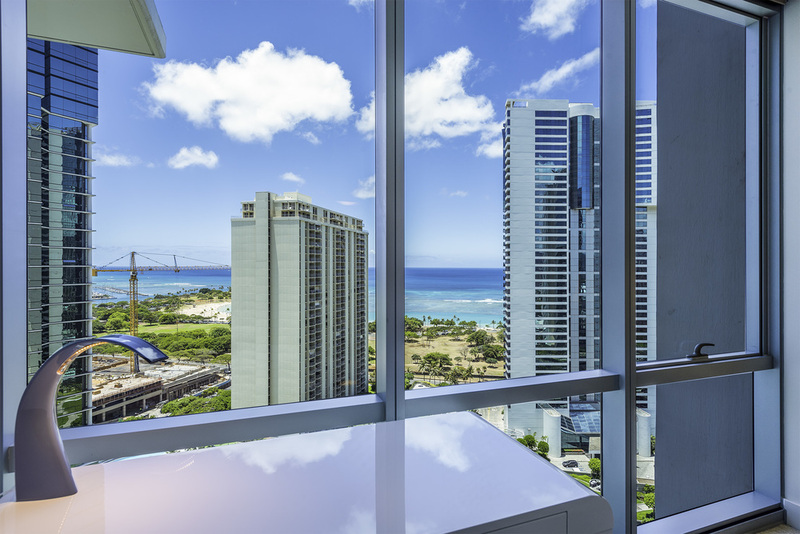 Amenities include: Infinity pool, spa, BBQ pavilions, club room with full kitchen, fitness center, residents movie theater, two guest suites, and surfboard and bike storage.